A perfect gift for a new dad! 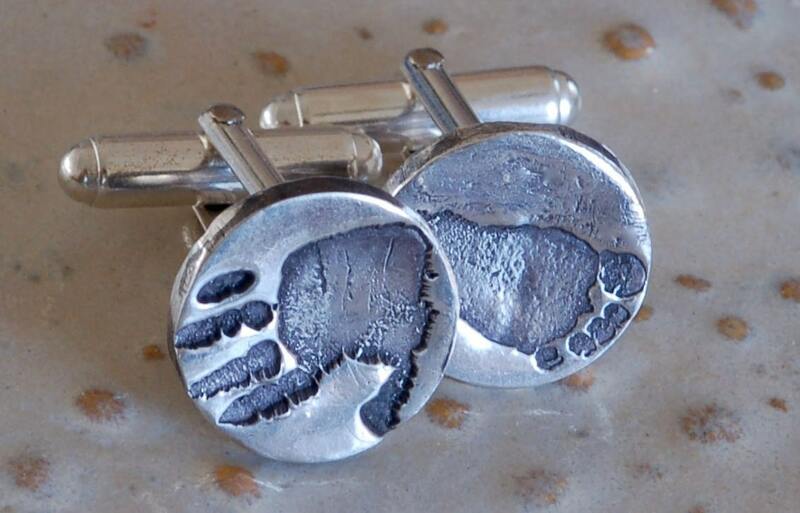 Cufflinks with baby's handprint. (Footprints too!). It is hard to get a clear thumbprint, but footprints and handprints work great!! 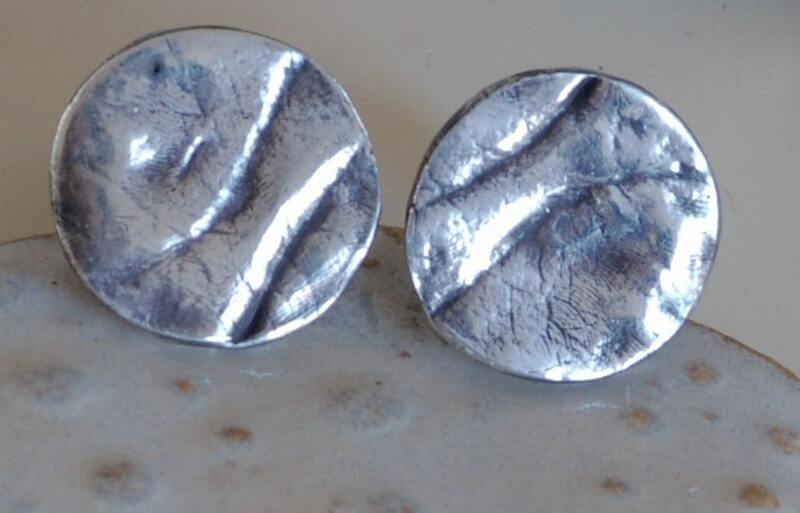 Made from fine silver. The first photo shows the base of the baby's palm. This does not have to be a new born. I can be any age, really! 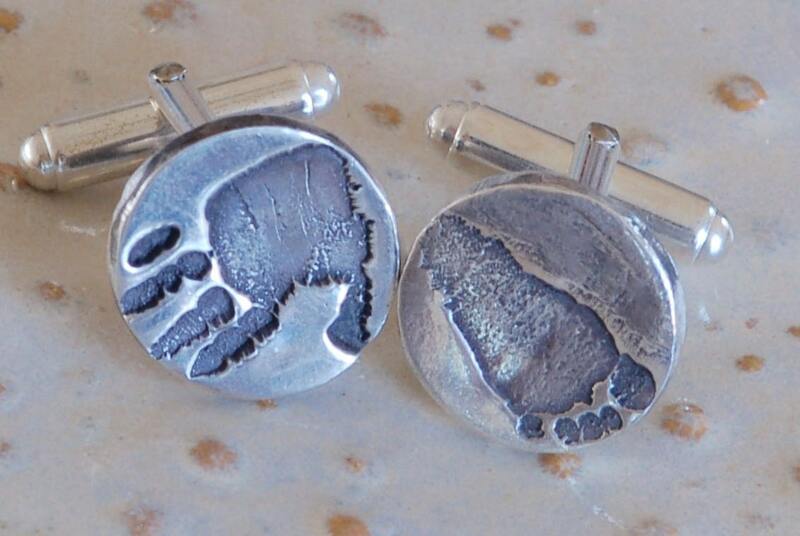 If you want a foot and handprint, select that option when you check out. I wish I could give this 10 stars! My husband absolutely loved this gift! They came out gorgeous and very high quality! 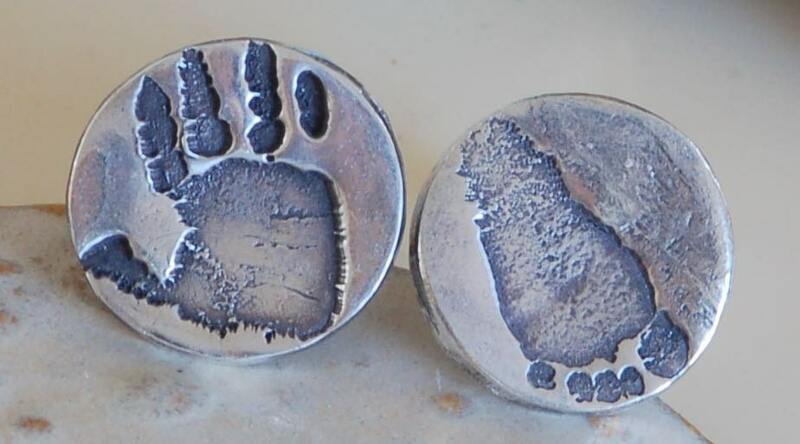 The shop owner was beyond helpful, patient, and walked me step by step through the process of getting my baby’s palm prints. I not only highly recommend this product, but also this shop. The shop owner’s customer service is by far the best I’ve ever experienced. Wonderful, quality, personalized gift. I can't say enough how great this is. The turnaround time was very quick and much appreciated.